Dheeraj Mehrotra joined iSixSigma 17 years, 7 months ago. Educationist with over 20 years of experience as a Teacher/ Trainer. 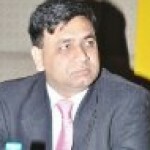 implementation of Six Sigma in Education, Quality Circles in Education, TQM in Education, training expertise on Quality Skills and Information Technology Topics, Resource Person for Computer Science, Association of Schools for the Indian School Certificate (ASISC), Published over 30 books on Comp. Sc. for ICSE/ ISC/ CBSE/ State Boards and over 600 write-ups on Quality and IT issues (Web reference: http://dheerajmehrotra.tripod.com ). Declared Best Teacher of India by TCS: Education World Initiative and by the Government of India, and was awarded the National Teacher Award by the President of India in 2006. Developed Websites for Human Rights Education, Computer Literacy for All and Six Sigma in Education. Awarded Best Science Teacher Award by Ministry of Science and Technology, State of Uttar Pradesh, Young Quality Leader Award by World Council For Total Quality and Excellence In Education. http://www.sixsigmaineducation.com. Goal: Innovation in Education Towards Excellence. He can be reached at tqmhead@aol.com.